Continuing the ongoing series of interviews on fantasy user interfaces, it’s my pleasure to welcome Daniel Højlund. In this interview he talks about the evolution of motion design in the last ten years, his work process, the balance between ideas and tools, and the pace of working on big sci-fi film productions. In between and around, Daniel dives deeper into his work on “American Assassin”, “The Martian”, “Blade Runner:2049” and the recently released “Pacific Rim: Uprising”. 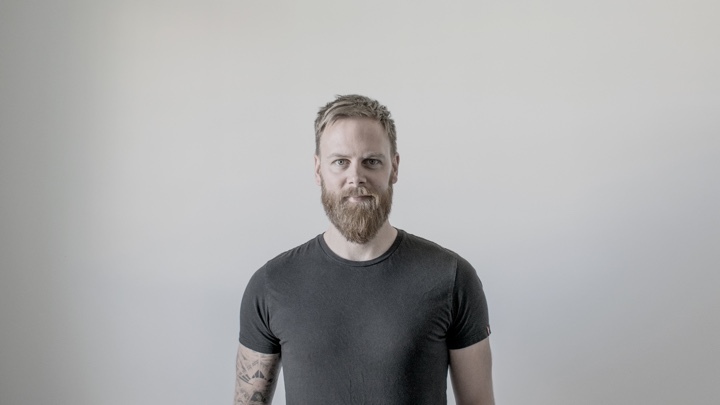 Daniel: My name is Daniel Højlund, and I’m a motion designer from Denmark. I first got started in this field about 10 years ago, but my interest in computer graphics dates back to my late childhood when through my mum’s work computer I got access to a few fun games and programs. I’ve always been interested in using computers for something in my career, as soon as I realised becoming a football (soccer) player wasn’t going to happen, even though I wasn’t quite sure what I wanted to do with it, or what that job was going to look like. I started as a multimedia designer in 2007, and back then I actually thought I was going to be a Flash web designer. Today I still find that quite difficult to fathom, but back then it was quite a hot thing, and it was only by pure coincidence that I kind of stumbled upon motion graphics when I did my final semester as an exchange student in Kuala Lumpur in 2008. The university had a two-week introduction phase to different creative courses that you were able to take. It was everything from photography, video editing, classic 2D animation, drawing, or more technical 3D classes etc. One of the courses was called ‘motion graphics’. I was intrigued and joined on a two-day introduction course to it. Amongst the showcases was some cool MTV idents and I was instantly fascinated and taken by the possibilities and the coolness of it. It looked like so much fun creating it, and even though I had seen similar stuff on TV many times before, I could not believe that this was actually a profession and people got paid to do this. I was on the path to becoming a web designer, but I pretty much instantly ditched that and went all in on the motion design course and hoped for the best. I passed, but when I came back there wasn’t really any motion graphics work around in the city I lived at that time, and I ended up spending a couple of gap years working various jobs and traveling and doing some personal motion projects on the side. I could not let go of it. 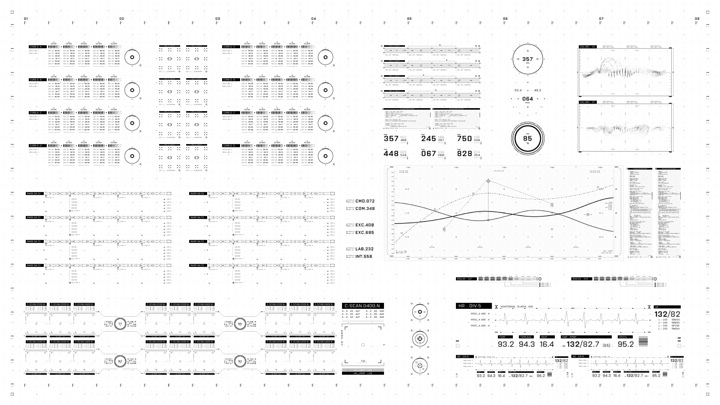 Then in 2011 I found this interaction design degree in Copenhagen, which had a motion design module. I applied and was fortunately accepted in. During that degree I went to Melbourne, where I studied for half a year as an exchange student again. I took courses in 3D character modeling and rigging, as well as classic 2D animation. 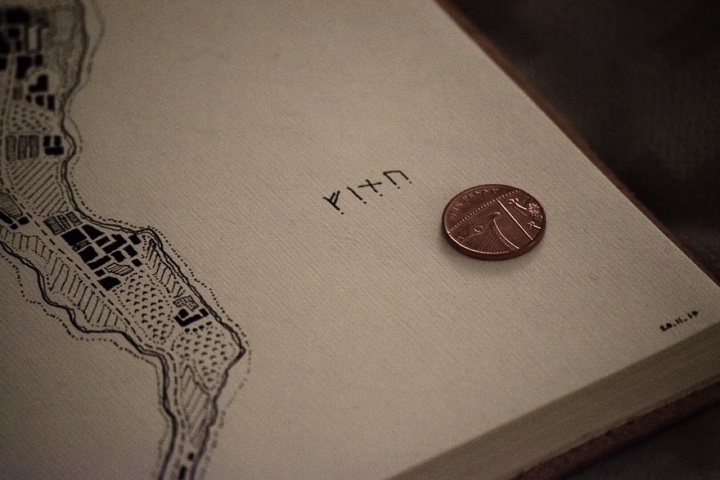 After that I got an internship in London at Territory Studio, when David Sheldon-Hicks decided to take a bet on me, which has now set the path that I am currently on today. After the internship, I went back to Copenhagen to finish my degree. Straight after that summer I moved permanently to London where I started out freelancing, but eventually became a full-time staff member at Territory, where I ended up spending altogether 5 years. I was there up until recently, and this August I decided to relocate to Copenhagen where I’m now starting life as a freelancer. Kirill: Do you think it’s easier to start in the field today than it was 10 years ago? There are more tools at your disposal today, but the demands are a little bit higher and you need to know more about those tools. Daniel: It depends on what is being asked of us in terms of the work. When I first graduated back in 2008, there wasn’t a whole lot going on in Denmark at that time. I believe I managed to find 3 places that did a little bit of motion design work, and this was in the second largest city in Denmark (not that it counts for much on a global scale!). Compared to 10 years ago quite a lot has happened with handheld smart devices for example, and today we have screens existing everywhere around us, and on us, and there is a much larger demand for more people to output content. So even though there is way more people doing motion graphics today than a decade ago, the demand for content has exponentially increased as well with the amount of platforms that needs to be populated. In terms of getting work I think there is a lot out there — every company, tv show, brand, artist, sports franchise, social media – you name it – are demanding video content in some forms these days. The competition is obviously very high for the most prolific big name jobs, but that will always be the case in any industry, and follow trends. But maybe those jobs are not what you want to be doing, and maybe you want to make more meaningful content in other ways, whatever that is to you personally. Try and get an idea of what type of work you want to be doing, and not just run aimlessly in the direction of everyone else just for the sake of it. Chances are you won’t arrive at a very happy place, if you make it there. 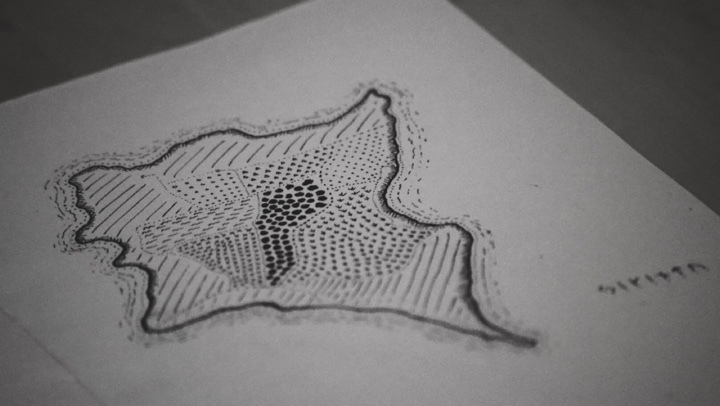 In terms of learning the technical skills and how-to’s in the softwares used for motion design is far better today, than 10 years ago — purely due to the amount of high quality training content that lives online now. The amount of knowledge sharing online today is tremendous and it will only keep on increasing. In that sense I guess it’s a little easier and more straightforward for anyone to give it a go. 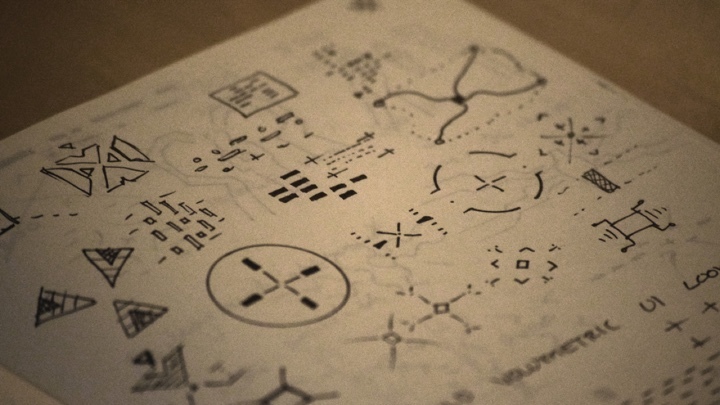 Kirill: I found these lovely hand-drawn maps that you posted recently to your Instagram stream. 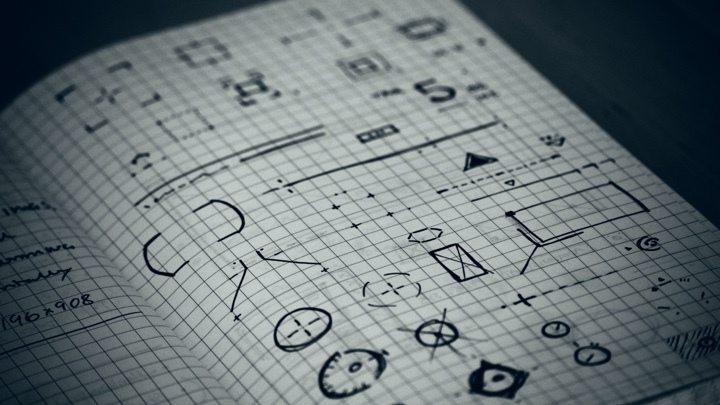 When you start a new project, do you find yourself sketching on a piece of paper, or do you go exploring the digital realm? Daniel: It depends on what the task is at hand, I think. Generally I start scribbling down early on and get any immediate thoughts down on paper. I find this process fast, and it comes from a place based on your intuition and gut feeling, and is not yet stained and influenced by external noise. There’s usually something that naturally surfaces that you might want to note or sketch down before you start numbing it with endless browser scrolling and screen glaring. That said, Pinterest, Tumblr, Behance, ArtStation, you know the drill, also has their part to play. Those are great places to be inspired and get exposed to new work that others are putting out there, absolutely. But, it can also be an endless maze if you don’t set yourself some boundaries. I try to set myself a framework prior to doing my online research — maybe this is a time limit for myself, or try to see if I can define something tangible of what it is I am actually looking for before I start scouting the web for something I don’t know what looks like. In terms of starting on paper – and let’s make it a UI example – it may for me just be defining a composition and figuring out where certain elements need to be going. It may be a rough idea of form, areas and sizes, and the relationship between the hero component in the screen and the smaller graphics. It might consist of some quick shapes, dots, linework and type drawing that comes to me, to see if there’s some interesting elements or constellations to explore. I then find it easier to open Illustrator and start creating the design if I already have a rough visual idea in my notebook of where things go, or roughly look like. I’m terrible at drawing but jotting down some simple bits like these and giving myself some visual references before I sit down in front of the screen, helps me to free up some mental headspace to focus on the design, and find my flow and stride faster, as I have already made some considerations. Kirill: Between those ideas in your head and the technical knowledge of the tools, do you think one of them is more important than the other? Daniel: Generally, I think, that if a piece does not have a substantial idea, story or sense of originality, the final piece will probably have less of an impact, regardless of how beautiful and/or technical the execution stylistically may be. I think you are more prone to remember a piece that made you feel something, or ask questions, rather than a piece that just looks fantastic. On rare occasions it may stick if it really stands out, but in an increasingly oversaturated world of new content being uploaded every second, I feel like those moments happen less and less. Or that may well just be my own experience. But, on the contrary, you can’t neglect aesthetics either. We consume things so fast now, and often on the go, that if something does not stand out and grab our attention immediately, you might get scrolled and lose the opportunity to share your wonderful story. So usually the two things can’t live separately I think – idea and execution that is. Kirill: We’re surrounded by screens in our lives, or maybe it’s just me that is attached to these slabs of plastic and glass. When you are working on a new screen graphic design or animation, do you find yourself competing against these real-life screens? Daniel: It depends on what the screen needs to do, and what type of film it needs to work in. If it’s a contemporary film and it has important story beats told through the screen graphics, it needs to be somewhat close to how we use and understand our day-to-day devices. That way the viewer can quickly grasp what is happening in those 21 frames there’s close-up on the screen. It needs to somehow relate to recognizable UX principles, and animations need to support this to help with understanding what is happening. Then you have fictional/fantasy/fantastical/futuristic/filosophical? interfaces which almost needs to be a little different in terms of usability and design to convey or sell the idea that this is set somewhere in the future. You are showing advanced technology that has been moved forward and I try to think how current design principles and interactivity might have evolved or changed. Sometimes you just need screens that give you the impression of some sort of advanced futuristic tech, but you don’t need to really understand them for the sake of the narrative. But, if screens graphics is actively used to support a films story beats and are key to understanding an important element of the film, then I think the design and behaviour needs to have some kind of red line tracing back to the contemporary use of interfaces, to make sure the viewer can depict what is happening and correlate with what we are familiar with to some extent. Screen graphics for “American Assassin”, courtesy Territory Studio. Kirill: Do you worry about how your work will be seen in 20-30 years? Daniel: I’ve never really thought about it, to be honest with you. I’m not actively sitting there thinking; “this needs to push technology forward and be an influencer like ‘Minority Report’ was”. In the moment, I’m not thinking about how does this apply to real world technology, or how it will age. I think that if you are constantly trying too hard to be original, just for the sake of being original, you might miss the whole point of realising and helping to convey the director’s vision and support the story. That’s your job. It might not need super originality, and now you’ve failed to understand the brief and need for the design. This took me a while to get. It can be a bit challenging, to say the least, to try and re-invent the wheel and get new things across, especially in a film production. You don’t have the luxury of time to concept, design and execute (well, I guess you very rarely have that when working for someone else). Of course, to some degree you always want to create something that has its own identity and character, and doesn’t look too similar to the rest of it. But I don’t wonder about how that work, or that film, is going to hold up in 20-30 years. It just needs to work the best it can for the film or the piece I am helping on right now. 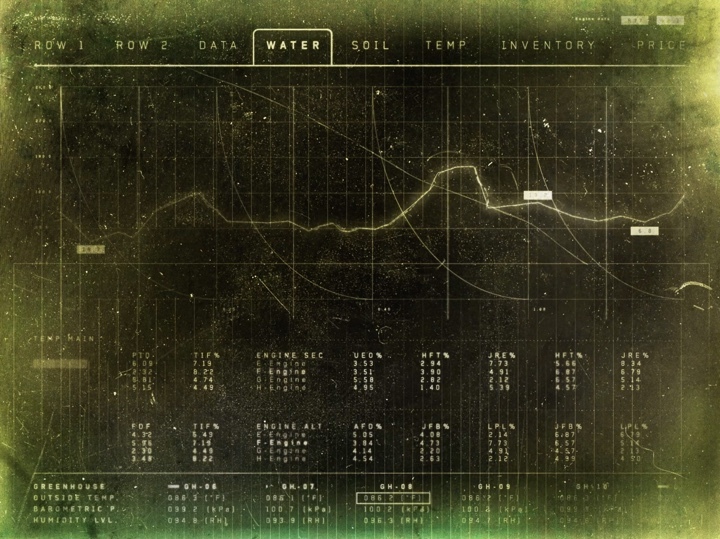 It’s one of the interesting things I really like about doing FUI graphics. You are not 100% constrained to some contemporary design, so you got to put some imagination in to it, and you never know what it may end up influencing down the road. That’s fun. Kirill: What was your first film production? Daniel: That was at Territory in 2013, where I got to spend a few weeks on ‘Avengers: Age of Ultron’ when I was doing my internship, doing the least important things on the screens haha. I remember some of it was doing some very tiny 3D microscopic cellular bits and bobs for some medical screens that ended up in the corner somewhere. That was my very first experience of working on a film production, which obviously was led by the most talented people at Territory (with the likes of Nik Hill, Ryan Rafferty-Phelan, Peter Eszenyi and Marti Romances) that actually knew what they were doing. Kirill: Bringing you back to that first production, was there anything particular surprising that perhaps stayed with you? Daniel: One of the things I first noticed was probably the amount of versions and nit-picking. The design and animation iterations to make it just perfect and sleek enough, and the craft that went into it. If you can, you usually try and figure out from the script what will be the hero content and spend the majority of time you have on that. You have to pick your battles — it’s hard to make everything just perfect, and if you know it’s going to be blurred out in the background and just needs a few flashing bits to show ‘activity’, then you might as well spend your time in the right places and save yourself some of the stress – and make sure you actually complete the work. If you know what is going to be in camera you do what you can to support the director’s vision in that moment and help drive the story forward. It’s something that’s taken me a while to learn and come to terms with, and figure out a way to find compromises with my perfectionism and OCD nature for small details. Another thing was just the sheer pace of it, and the amount of things you need to get out the door on a daily basis. I was very fortunate to learn from some of the most amazing and talented people, and pretty quickly I came to the realization that you don’t have that much time to sit and tinker and make it perfect for yourself. You need to figure out what are the core elements here that needs to work, and send that down the assembly line, and move on to the next thing. This was another thing I’ve struggled to practice, but an absolute necessity to be able to work in that industry. Maybe those findings were not particularly surprising if you think about it, but those two parts were probably the biggest findings I made from my first film production experience. I didn’t have any prior work experience with film graphics, or UI for that matter really. I was extremely lucky to be part of a small group at the right place at the right time and be offered the possibility to help out with the smallest bits. But for me it was some important lessons and a great experience. Kirill: “Jack Ryan” and “Mission Impossible” are closer to the present day interfaces, while “Pacific Rim” and “Ready Player One” are a bit further in the future. Do you have a preference between these two types? Daniel: I enjoy all of it. I find them so different in terms of approach and challenges, and the way you execute it. With contemporary screen graphics, you have a lot of content already out there available to be inspired by and draw upon. Jack Ryan works for the CIA, and you have a lot of references to what they’re actually looking at. You already know what is the technology they have available (sort of…). So, in that sense you have something that clearly influences your design. When you work on something futuristic, you really need to push and think about creating something different that needs to be able to sit in that time or universe where the story is played out. It might be otherworldly, with some sort of non-human input to it. You usually draw a lot of inspiration from the work of the art department as this usually needs to correlate and support each other. 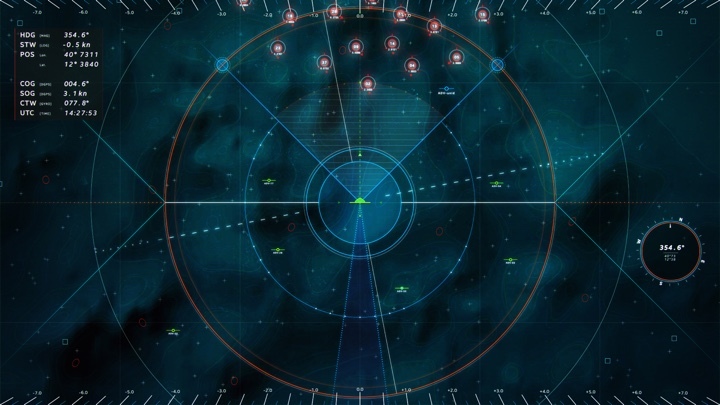 Screen graphics for “Pacific Rim”, courtesy Territory Studio. You look at ‘Jack Ryan’, ‘Mission Impossible’, ‘American Assassin’, ‘Hunter Killer’, and even ‘The Martian’, they are quite contemporary. And then you have more futuristic productions like ‘Blade Runner 2049’ or ‘Ready Player One’. ‘Blade Runner 2049’ for example is set in a world after some sort of technologic blackout event in our near future. When you push the reset button on technology, how does that get rebuilt? What helps fuse and drive it? Does it look and work very different? Asking questions along these lines can help generate interesting solutions, and even more questions that can help push the creativity. Even though you may still have a recognizable structure and medium for your UI screens, the visual treatment of it is quite different. It is dictated by the technology that is set in that futuristic scenario. In that way, I find these two challenges very different and interesting. Kirill: When somebody asks you what you do for a living, do you see that people are surprised to hear that even more-or-less familiar interfaces on something like “Jack Ryan” need to be explicitly designed? The majority of people outside the industry that I speak to are surprised that it’s actually an industry in the first place. Maybe it’s not something that is paid much attention to generally. You work for months to create assets for a film, and you might see those screens blurred out for a couple of second in the background. When you start explaining how long that took, and what actually went into it, most people are very surprised by that. You’re working on something for that long, and most of the time it’s not even visible. Their face expression becomes a bit fish like, and their eyes go a little glossy. It doesn’t make much sense. If a screen in the film is noticeable, that’s an important element to me. 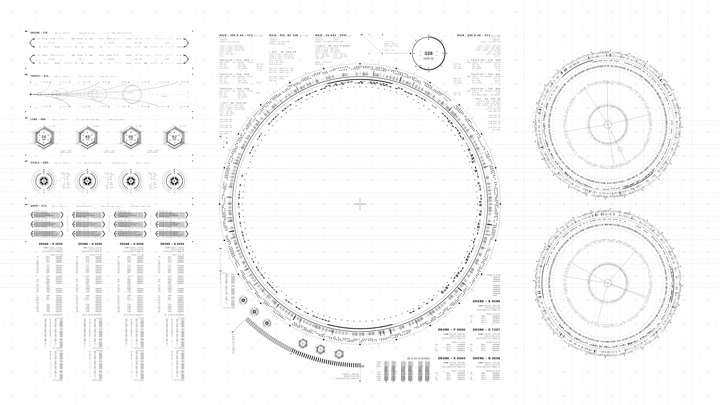 Let’s say you’re inside a high-tech spaceship that is sailing light-years away from Earth. If it doesn’t have the screens to help convey that level of technology inside it, you’re just lacking this in-between layer to actually sell the idea that this is a sophisticated technology. Screens can be in the background, but they still have an important part to play. If they weren’t there, you will feel that something is off. In this case those screens are in place to support that technology. Kirill: This is what I liked about “The Martian” or “Jack Ryan”. The screens there are mostly set decoration, and they do create the right feel for those environments. They convey the complexity of mission control or CIA analysis room. Daniel: Sure, it really depends on what type of film or TV show it is. On ‘Blade Runner 2049’ the screen technology was quite sparse and in a way helped illustrate the hierarchy in society. Overall the use of screens was quite limited. If you had screens, it meant you’re more upper class because you can afford technology. K’s Spinner is broken down almost recycled technology which is being used by a replicant of lesser status in society, and LAPD was above that and had more advanced tech. Wallace have all the money in the world and can develop the most sophisticated technology. It was important to showcase these different hierarchies in society through use of technology, and screen graphics can very much help support this in this example. Screen graphics for “Blade Runner: 2049”, courtesy Territory Studio. On ‘The Martian’ Matt Damon spends half of the film on his own on Mars. He’s isolated and is going through his daily motions and the interaction with him and the screens became an important element in the film to help drive the story. Almost like a supporting actor to bounce off while on his own. Sometimes the story needs prominent screen graphics, and other times it doesn’t need to do much. I remember Peter Eszenyi once made an interesting point out to me. If there is a need for a lot of unnecessary screen graphics to explain things in the film, and is relied too much upon to help drive the story forward, then maybe the actual story development is lacking something very crucial and screens are now trying to compensate for that. So, I guess that the more screens you use to explain story beats doesn’t necessarily mean that it’s actually helping the film overall, and it’s maybe more a Hail Mary to try and tie the film together at the very end. Kirill: How different was it to work on “Ready Player One” and “Pacific Rim” where you don’t have the usual rectangular flat confines of traditional screens? Daniel: It is definitely another challenge having interfaces sitting in another dimension, and not constrained to a flat front on screen. 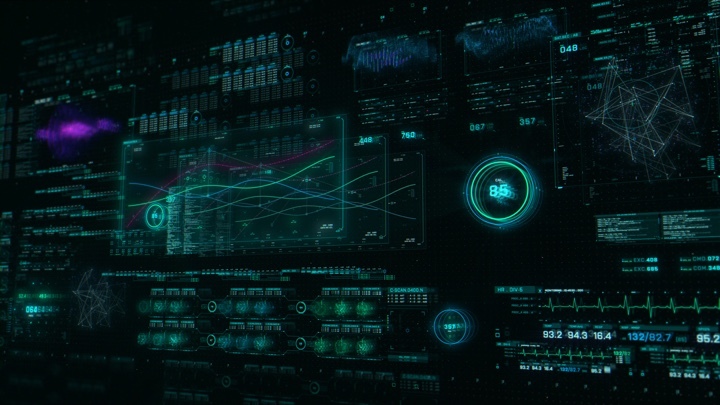 Some of the stuff I helped out with on Pacific Rim was surfaced based as we know it, wall monitors, traditional screens and tablets. 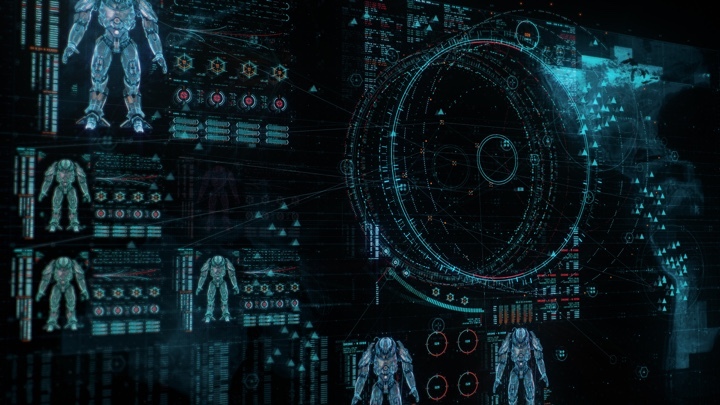 The primary work Territory did on Pacific Rim was the holographic ‘connpod’ consoles in the Jaegers, and the holographic tables in the control room. This part I was not much involved with, though I did help design and create some 3D components that sat within some of these. These elements were used as part of a kit for the other 3D artists to incorporate into their beautiful design and animations. Apart from that I did develop some 3D concept work, which I primarily created by designing 2D elements in Illustrator as I normally would, and then extruded and treated in Cinema4D, to feel volumetric and sit in a 3D environment. Some of these were taken further, some weren’t. You need to consider other things when designing for something that needs to work in a 3D space and will be viewed from different angles. Important information needs to be ‘readable’ for the viewer, and make sense for the character viewing it at the same time, i.e. an incoming missile that triggers a warning sign and other elements kicking off to support this. Those moments are important to quickly illustrate and help understand what is going on. There are definitely things that change in terms of approach to composition and readability compared to plain 2D graphics. Kirill: How do you approach working with a constrained color palette that is dictated by the production needs, or maybe by ongoing usage of predominantly blue and green lines on dark backgrounds? Daniel: Blue, white and cyan/greenish definitely seems to be the default go-to colours for many UI screens. Blue and cyan is kind of in a neutral color space if you will. If you start making things red or green, you can quickly start associating these accent colours with certain emotions. Red is often read as danger, warning or something ‘bad’, and green often means that a system is functional or A-OK. I find that is what you usually reserve red and green for in screen graphics. So blue/cyan is left as the default neutral. But you can’t state that it’s right or wrong — I guess it may just be the trend and how we expect it to look like. Again, with more futuristic interfaces you are more prone to see a wider range of color experimentations. If the project allows for it and it doesn’t already have a pre-determined color palette, I do usually like to try and experiment with more ‘uncommon’ color combinations if you will. I gather inspiration for colors elsewhere, both from digital references, the world of art, and I also love to try and find constellations from the real world. More directors tend to want playback screen graphics on-set these days. That way you don’t need to replace green screens in post production and comp in the visuals. It saves a lot of post work and gives you “real” natural light on the set and for interactions, and can help provide certain cues for the actors as well to work against. My experience so far is generally that neutral colours are easier to work with and control, rather than pure red, orange and purples which can be harder to control for cinematographers. But that’s all evolving with technology and screens available, and obviously depends stylistically on the specific film. I’m not anti-blue coloured screen graphics at all. It’s more about finding interesting accent colors, or slightly tweaking it to what is needed, and there is so much more to the designs than just choosing the colors. And again, most importantly is to help the story of the film/TV show at the end of the day. Kirill: When you worked on a movie or a TV show, and then you watch the final cut for the first time, do you get to enjoy the story? Or perhaps you find yourself focusing on how they incorporated the pieces that you’ve worked on? Daniel: It’s always interesting and fun to see how it turns out in the end. You work on it for a long time, and then go to the cinema to watch it afterwards. You look back at that period with long work days and high-stress work situations, without knowing if what you did actually made the cut, or look the same for that matter. Fortunately, I personally feel like it’s usually worth all the effort that went into it, and forget the pain and creative struggles that were part of it. I probably look more at the screen graphics in those films than the average viewer I guess. For good reasons. You helped bring it to life working on it within a team, so I am focusing a bit more on it. I try to just enjoy the film for what it is, but I do probably pay a bit more attention to that screen in the background all out of focus and find more joy in that than the person in front of me in the cinema. Knowingly I do find it quite satisfying to have helped out visualising and bringing a story to life for the director, and being proud of the team. However small or large my role was. Kirill: Do you find yourself wishing that it could have gotten a little bit more screen time? Daniel: It depends. Again, it’s not always that it is beneficial to the film, and sometimes the screen graphics work comes across way stronger if used sparingly and considered. From a personal point of view, it’s obviously nice when the screens you worked on are featured in the film. But I don’t feel like it needs to be there for longer than necessary. Plastering a film with screen graphics doesn’t necessarily mean that our part was more important, or better for that matter. Kirill: Is there such a thing as your favorite production so far that you’ve worked on? Daniel: I think it sort of depends on my involvement and role on the project. As mentioned my first one was on ‘Avengers: Age of Ultron’, and even though that was fairly brief for just a few weeks, and my contribution on it was very minimal, it was still my “first”. It kind of started the whole thing, so that has to be one of my favourites. ‘The Martian’ was one of the first longer runs I had on a film production. I was on it for almost four months altogether I think, mostly picking up Marti’s designs and primarily just animating. We had a very small team working on it, and it was a great experience. I remember Sam Keehan and I worked closely together on that and sometimes we had to churn out dozens of screens every day, and we had a blast together doing that. I learned a lot from that project, and have fond memories from that for sure. I enjoyed ‘Jack Ryan’ where I was mainly involved in the concept and design stage and helped laying down the overall foundation of the screen graphics for it. So, with different roles on a project comes different experiences. Every film or TV show that I have been fortunate to work on so far has had its own unique challenges and opportunities, even though some of them are quite similar from a technical point of view. They are all precious in their own way, and each have given me experience and very much helped define the trajectory I’m on. Kirill: Where do you find yourself when you think of how technology is becoming such an integral part of our daily lives? Daniel: I think it constantly changes for me to be honest. I try to consciously distance myself from my devices if I’m not working. Harder said than done. But that’s one of the reasons why I try to do some of the map drawings once in a while for example, to just be basic with pen and paper, instead of just staring at lit up pixels and having glaring blue tinted light bombarding my retinas all the time. To be my best I feel like I need to connect with my caveman inside from time to time. It’s really difficult to predict where things are going, and what the result will be of having screens and online smart devices everywhere – especially for the new generations now growing up with it from age 0. But what strikes me the most is seeing 3-4 year old toddlers today who can use iPads better than I do, but do not know how to flip a page in a magazine. I personally feel lucky to be a child of the ’80 and ’90s. For me having a computer wasn’t really a thing until I was 10, and my mum, dad and younger brother got a mobile phone before I did. I had maybe one hour in the evening to play this silly little game of ‘Commander Keen’ or ‘Lemmings’ on my mum’s work station. I must admit that it was fun and that game time did increase through my teens, but I’m so happy that I had a more analogue upbringing, if you will. All I wanted was to be outside and kick a ball around with friends, or go skating (which I was absolute crap at). I think in some way that’s given me a natural perspective on technology, and I have a need to remove myself from it at times. Traveling and getting lost in nature are some of my favourite things to do, potentially because of the decade of my upbringing, and I’m getting these urges to sometimes just escape from constantly being “plugged-in”. It’s strange that in an age when we are more connected than ever, entitlement seems to be at an all-time high. Something about recent technology seems to allow our insecurities to run amok like never before. The more freedom we’re given to express ourselves, the more we want to be free of having to deal with anyone who may disagree with us or upset us. The more exposed we are to opposing viewpoints, the more we seem to get upset that those other viewpoints exist. The easier and more problem-free our lives become, the more we seem to feel entitled for them to get even better. The flood of extreme information has conditioned us to believe that exceptionalism is the new normal. And because we’re all quite average most of the time, the deluge of exceptional information drives us to feel pretty damn insecure and desperate, because clearly we are somehow not good enough. A lot of people are afraid to accept mediocrity because they believe that if they accept it, they’ll never achieve anything, never improve, and that their life won’t matter. Maybe there’s something to it… Most children today are being raised with all this technology and social media around them. I don’t think we’ve really seen the impact of that yet, and fully understand what this means for the future. It will probably just be like the rest of human history and just be another organic step in our evolution, and it is just what it is and a step to something else. I don’t know. On the other hand, it is not as much the amount of screen time and use of the devices that concerns me, as I think that’s less measurable. I’m more worried about the amount of information that is being gathered through these devices. I’m concerned about the content and data that is being shared and collected, and where that information is ending up. That’s the scariest part I think. Who has access to this data, and what are the intentions of these people that have the access to do something with it? That is probably my biggest fear. It is difficult to regulate that collection of data. How do you enforce a law that is global and fair for everybody? That can apply to AI as well to some extend. How do you create laws for something that we don’t fully understand what it entails? What it will turn into? It feels like you’re one step behind all the time, and you’re playing catch-up. You’re always just trying to close the gap and patch it on the fly. Hope for the best. The trajectory of devices and technology around us will only continue to go one way. In the grand scheme of things we’ve quite rapidly accepted technology and smart devices into our daily lives and it has now become a necessity for most and we rely a lot on them. We only realise how big a part it actually plays in our life when we can’t find our phone on the bedside table, or the Wi-Fi has stopped working. Absolute panic! Wow, I sound like such a pessimist! But, I personally think it’s healthy to be mindful of how you use the technology available, and not let Instagram kill your creative buzz, or make you question your non-existing six-pack. It’s way bigger than me, and I’m not trying to preach what is right or wrong — I’m just trying to do my own thing, and what works for me. Kirill: Is there any advice you would give to somebody who wants to get into the field right now, or perhaps advice to yourself when you were starting 10 years ago? Daniel: The best advice for myself I think would be to try not to worry too much about what is going on around you, and how well everyone else seems to be doing. It’s always going to be out of your control. Try and figure out what it is YOU want to be ending up doing. And if you can’t answer that question that is ok, and that may keep on changing. Just start doing what you enjoy and like doing, and that might be a good indicator of which direction you want to be going as it’s fuelled by something you naturally enjoy doing. But, get it out of your head, and start creating something… Anything! It’s easy to let yourself be intimidated and get into the habit of worrying that you might not be good enough if you constantly only look at other people’s work. It’s very important to focus on yourself, find something that brings a natural joy to you, and work towards that. Otherwise you’re going to do a lot of self-inflicted damage to yourself if you’re being too observant of what other people are up to. Try and focus on your own work, and map out what it is you love to do. There might be a pattern. It’s a huge cliché which is easy to just throw out there, but I do find that it helps to be open minded and willing to break away out of your comfort zone. You need to train it like any other muscle. Shake things up and become uncomfortable and ‘newbie’ again. It’s healthy and your progression leaps forward. For example, just because everybody may be using the same methods or software, doesn’t mean that you have to accept this as the default and comply to this. Go out and experiment, find and combine, software, tools and analogue techniques that is fun and may work for you. You might just find something that’s quite different and create something ‘new’ because of this, which who knows, may end up being where you find your own voice. Or at least make it fun doing what you are doing. And here I’d like to thank Daniel Højlund for taking the time out of his busy schedule to talk with me about the art and craft of screen graphics. You can find more of his work on his Instagram profile. And if you’re interested to read additional interviews about the wonderful world of screen graphics and user interfaces for film and TV, click here for more.